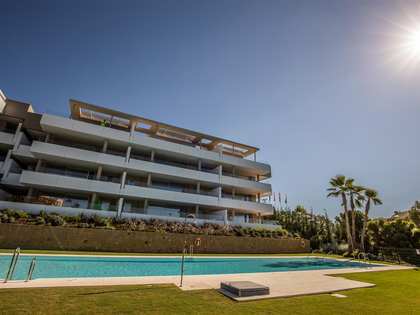 This property is part of the Benahavis Apartments. Luxurious contemporary design development offering 24 exclusive apartments in a high-end residential complex with outstanding communal facilities in Benahavis. 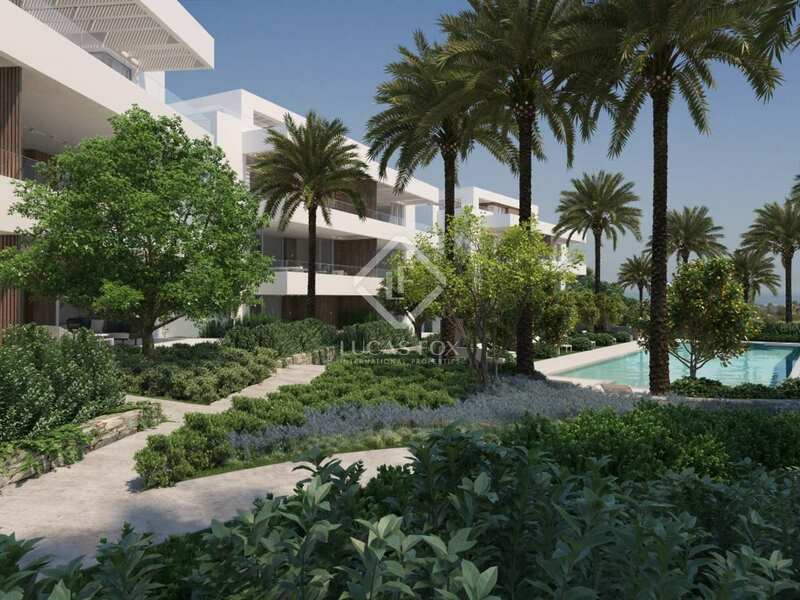 Ideally located 5 minutes from the centre of San Pedro village and its beaches, yet in a beautiful tranquil location surrounded by a golf course, we find this exclusive new residential project offering 24 immaculate new residences for sale. 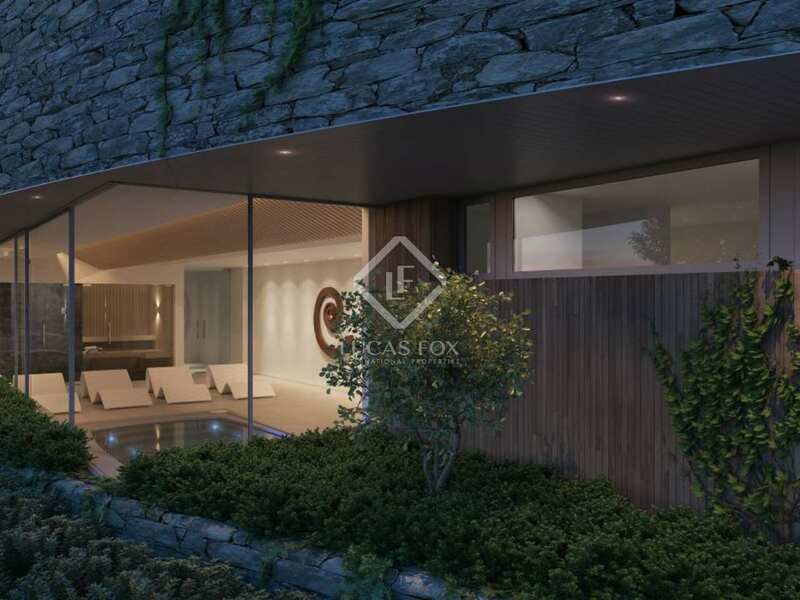 The vision behind this project is a harmonious and luxurious blend of contemporary architecture, a high quality of life and connection with the natural surroundings. 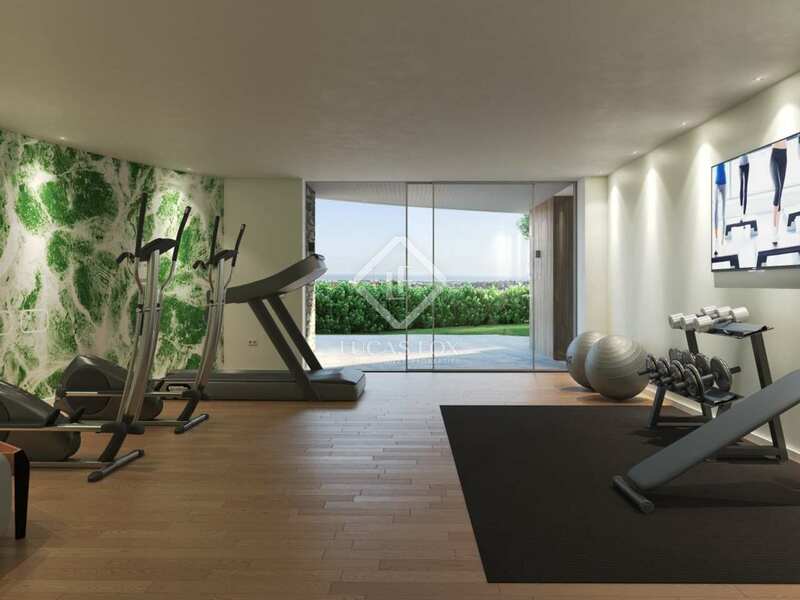 The complex boasts a fabulous heated indoor pool, gym and spa as well as lush landscaped communal gardens with fruit trees, aromatic plants and a large outdoor pool; all with spectacular panoramic views of the sea and the mountains. 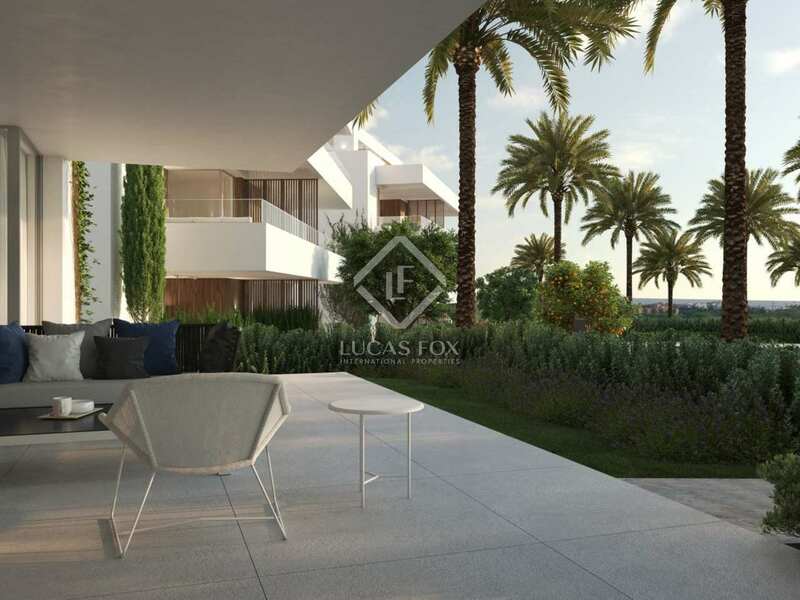 The indoor and outdoor pool areas are connected by a vast sliding glass door and the design of these areas is reminiscent of Andalusia's Moorish past, with elegant decorative features and a distinct high-end character. 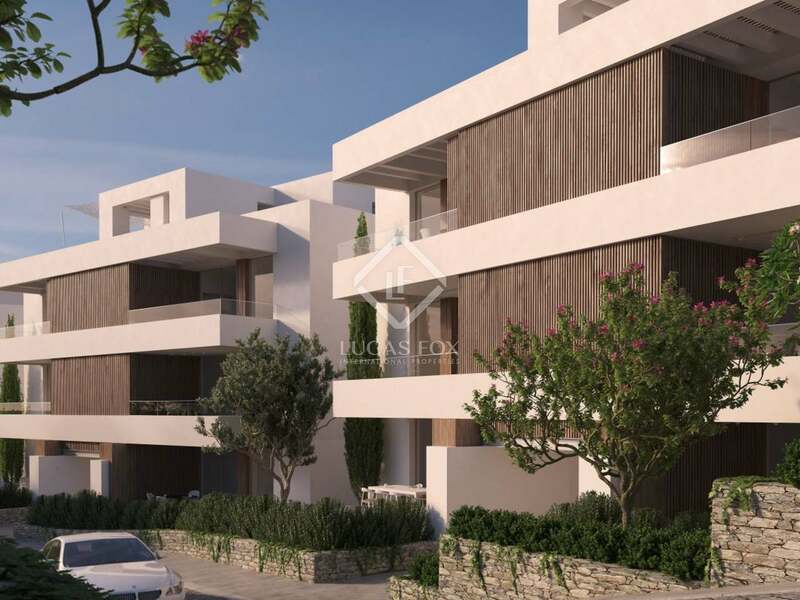 This project is also set to be the first cardio-protected residential complex in the area with a mobile defibrillator with geolocation and personalised 24h telephone assistance for residents' complete peace of mind at all times. 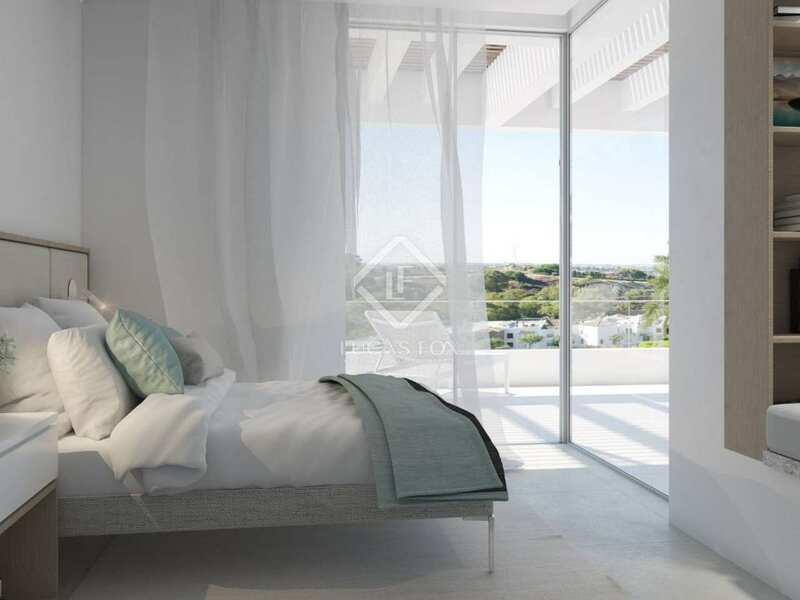 This magnificent first floor apartment is south-west facing with Breeam certificate and Energy A rating, featuring home automation, underfloor heating, a cosy open fire in the living area and floor-to-ceiling windows for abundant natural light. 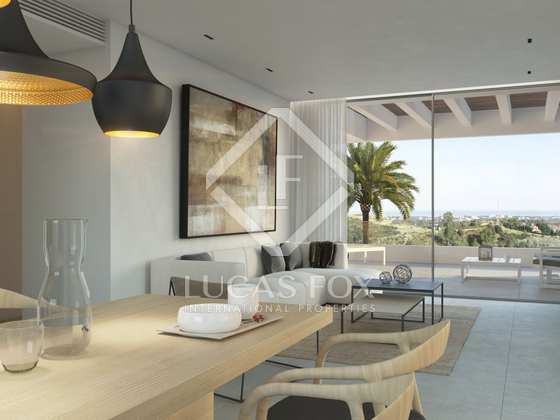 The property has a modern open plan living, dining and kitchen area with direct access to 2 terraces; one at either end of the living area. There is 1 ensuite bedroom, a second bedroom and a second bathroom. What's more, all properties witin this development come with a garage parking space and a storage room. 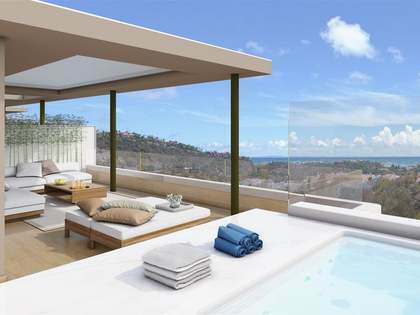 An ideal Costa del Sol home. 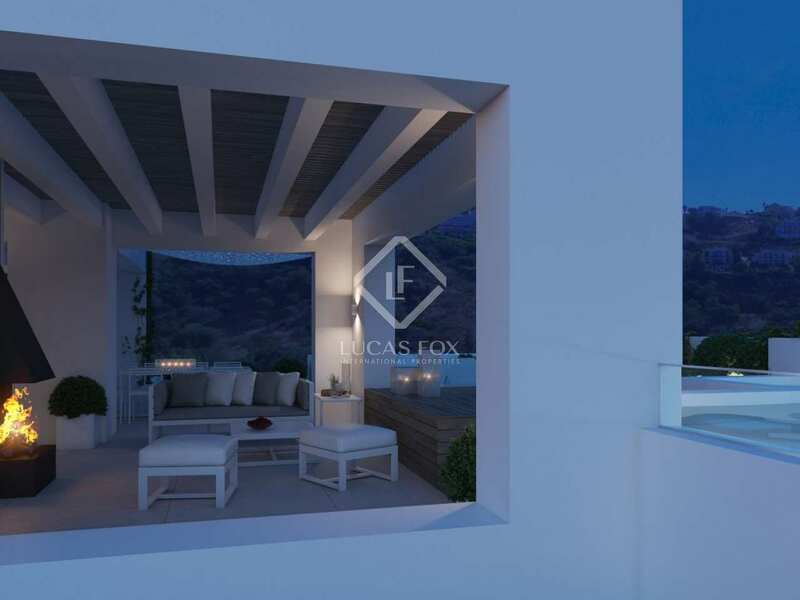 This new development of luxury apartments is situated at the foot of the scenic white town of Benahavis, at the heart of the Costa del Sol. 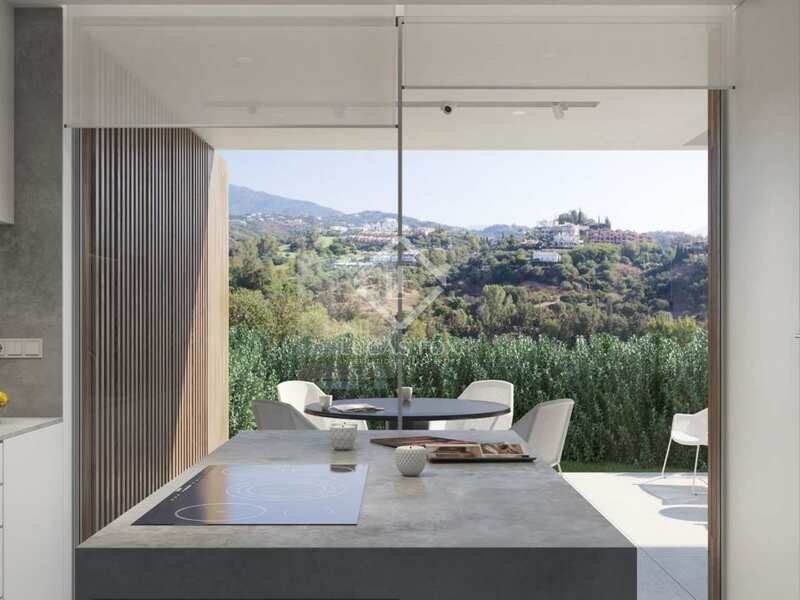 It is just a few minutes from Marbella, Puerto Banús and Estepona, less than an hour from Málaga and Gibraltar international airports and the high-speed train (AVE), which has links to the rest of Spain.